This entry was posted in Nepaliaustralian Blog Awards and tagged awards, Best Blog Design 2017, Best Blog for 2017, Best Blog Post of the Year 2017, Best Fashion Blog 2017, Best Fashion Blog Post 2017, Best Food Blog 2017, Best New Blog 2017, Best Personal Blog 2017, Best Photo Blog 2017, Best Photo Blog Post 2017, Best Travel Blog 2017, blog award, blog awards, congratulation, Most Diverse Blog 2017, Most Educational Blog Post 2017, Most Witty Blog Post 2017, Nepaliaustralian Blog Awards, Nepaliaustralian's Blog Awards, NEPALIAUSTRALIAN’s Blog Award 2017 Nominations Announced, personal blog, winner, winners. Bookmark the permalink. I posted a comment, but it disappeared…so sorry if this is a duplicate comment. Thank you NepaliAustralian for creating the awards and thank you for the nominating me. I am honor to be a part of this, and thrilled to receive Best Blog for 2017. Congratulations to all of the winners, as well as all of the nominees. There are so many bloggers out there, and getting recognition is wonderful. Thank you!!! 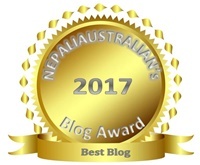 I am honored to be a part of this award and thrilled to chosen for best blog 2017. Congratulations to all of the winners, and to everyone nominated. 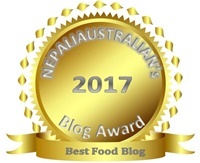 There are so many bloggers out there, it is wonderful for each of us to get recognition.